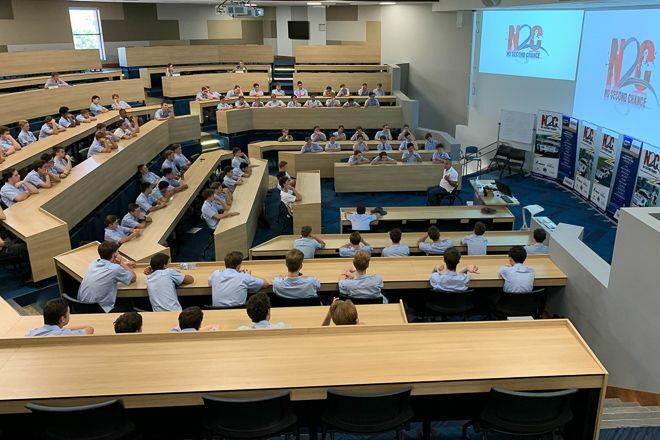 Our most recent N2C presentation was on Friday 29th March at The Southport School on the Gold Coast. We first presented at the school in July 2013. After the presentation, Mike Wallace, the Year 11 and 12 Leadership Program Coordinator asked us to “please come back every year for the next ten years”. So this was our seventh consecutive visit to the renowned boys school! TSS is a known as a world-class school for boys with a balanced and holistic Christian learning community in the Anglican tradition. Their philosophy is to nurture outstanding young men who are confident, healthy and responsible, with advanced skills in academics, creativity, and higher-order thinking. Make smart decisions and live your dreams Make dumb decisions and there is No Second Chance !! 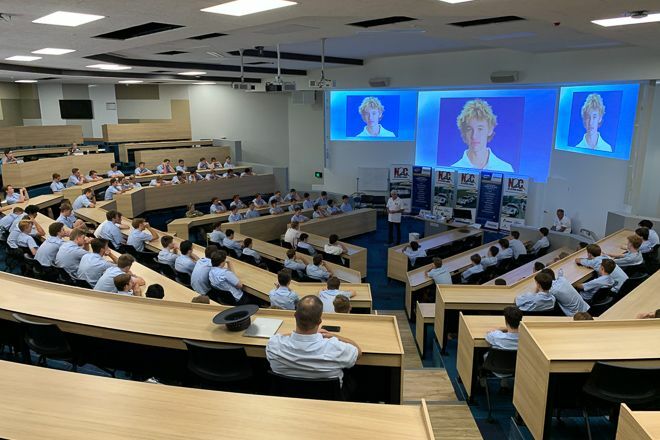 Our next N2C presentation will be at Darwin High School to over 500 students on Thursday 13th June leading up to round 4 of the Porsche Carrera Cup championship. 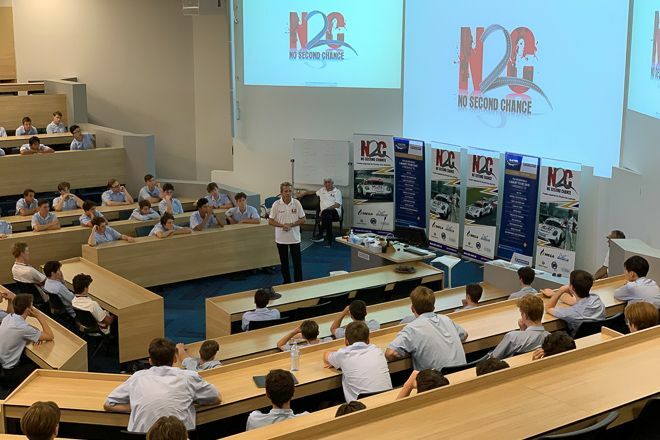 We will have the N2C race car on display for the kids to see and connect their N2C experience to something that sums up the results of ‘making smart decisions – living your dreams’. 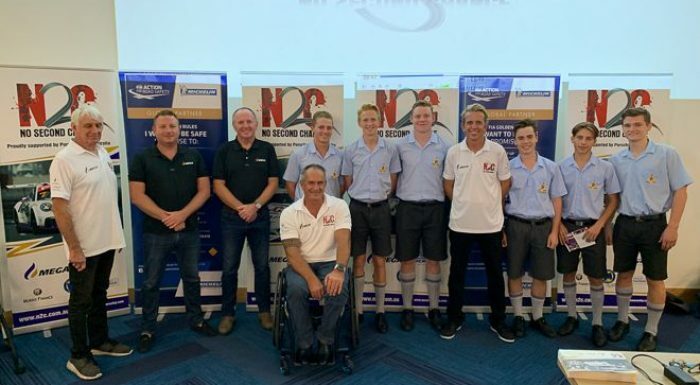 Recent N2C Graduates from TSS can enter the N2C Top Gun program for their chance to win an exclusive invitation to the Porsche Track Experience to complete the No Second Chance Porsche Track Experience Young Driver Program.